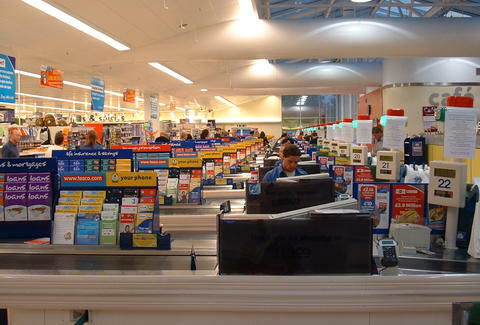 UK supermarket chain Tesco, recently voted the UK's least favorite grocer, has committed to giving back in a big way. Tesco admits it wasted 55,400 tons of food across its stores in the last year (30,000 tons of which was edible), The Guardian reports. The chain currently sends some surplus food to charities, but most of it is used as animal feed or given to anaerobic digestion energy plants. However, the chain has now teamed up with food redistribution charity FoodShare to connect Tesco managers with local charities, which will allow the stores to donate unsold food multiple times per week. The donation system has already been tested in Ireland, and will start off in 10 UK outposts, including Glasgow, Belfast, Merseyside, and London. According to The Independent, managers will use an app to alert charities in the area when the surplus food is available, which they can then come pick up for free. Beneficiaries of this plan will include women’s refuges, homeless hostels, and breakfast clubs for disadvantaged children. This follows the French law, enacted just this spring, which bans supermarkets from throwing away unsold food in favor of charitable donation. A round of applause for Tesco; maybe now those approval ratings will go up?